The show is hosted by Tracey Edmonds whom we are familiar with by watching her host another television show, Extra. Of course you can't have a judging show without some celebrity judges, so in comes celebrity judges Lauren Lake and Vanessa Simmons. Now here is where the judging panel gets interesting. There is a seat dedicated to guest judges that come in on each episode which consists of Angela Benton, Carla Hall, Lisa Price, Rakia Reynolds, Mikki Taylor and Bravo's Real Housewives of Atlanta very own, Kandi Burruss whom I wonder will give a little shade to entertain us or enough to kill a tree? All kidding aside (some-what) here is why I want you to tune in. We have a DESIGNERLEBRITY seated at the table and will make her debut on Feb 4th! If you are not familiar with celebrity interior designer Robin Wilson, you may not realize you could have possibly bought into the lifestyle brand she has built for the past 16 years. Robin has established a multi-million dollar empire on her terms. From creating Robin Wilson Home with a product line of licensed bedding, hypoallergenic pillows, towels, furniture and custom cabinetry to writing books like Clean Design, Wellness for Your Lifestyle. But Robin has been on our TV screens for years as well from HGTV, LX-TV Open House to the TODAY show with Hoda & Kathy Lee. She has been our goto healthy home expert. Which is why I'm thrilled to see her share her opinion and give advice to the business women who will walk into the "Queen Boss Conference Room" to see if their business truly has a shot. Plus it's nice to see an interior designer showcase their entrepreneurial side as they too have boss-game and understand the hustle. Did you know black women are the fastest growing group of entrepreneurs?! #QueenBoss, this is for you! 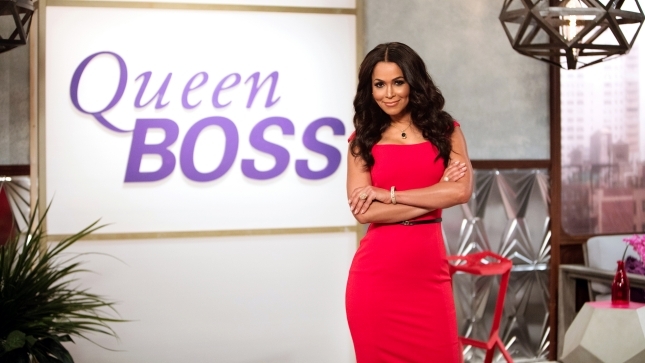 Watch the promo clip above to get hooked on the series and then tune in to watch Queen Boss premiere episode starting this Saturday, January 14th @10P|9C on Centric TV with designerlebrity Robin Wilson debut episode on February 4th!